We're building a Cafe and event space for the neighborhood and our gaming community. Help us make this a reality. Better yet: help us make this awesome. As many of you know, we signed the lease for the new Cafe space last week along with the extension to EndGame’s paperwork. We are here with you for the NEXT 5 YEARS! And we'll be coming to you with our new addition: coffee, tea, food, and other beverages throughout the day, and especially focused around our evening events. Staying caffeinated while gaming has never been easier. So where's that put us today? 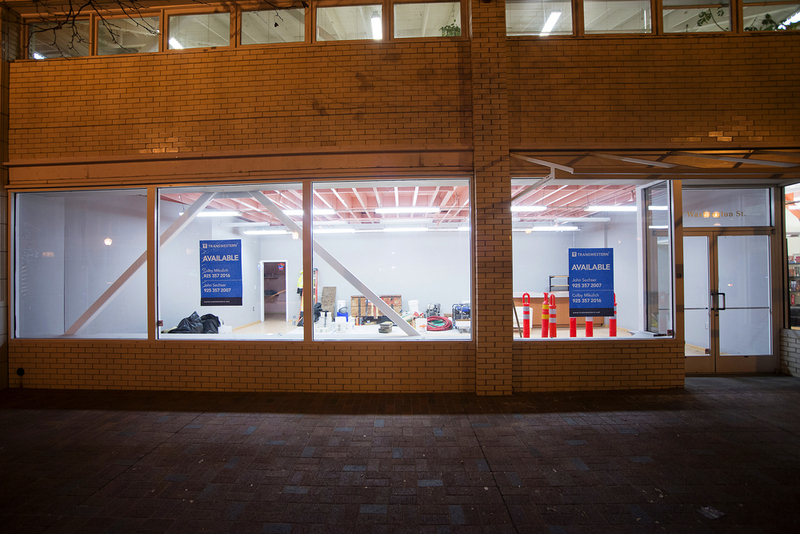 We have the lease, the keys, the architectural drawings, and now we could use your help. We have a kickstarter that just launched this morning, and we are off to a GREAT start, thanks to you and our other fans' generous support. But more than your coin, we could use your loud, shouting voice on social media. Take the link you see below and pass it around. When you do share the link, be a little specific and share what excites you about our kickstarter. Is it the late evening coffee for gamers and friends? The Fiasco play-set or Fate adventure? 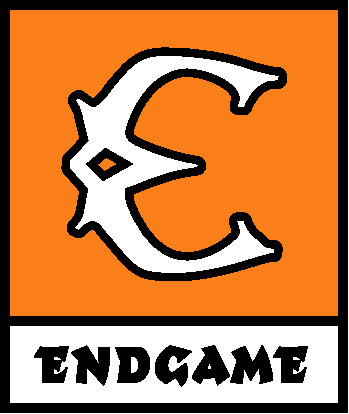 Eric Vogel's EndGame themed card game? Getting your name up on the Wall of Heroes? Details like this can hook folks in and get them checking our campaign out. So basically: please share our link, and make it personal! We are eager to bring a new era of EndGame, gaming, and community to our supporters and neighborhood. Let's make this as awesome as we know it can be. With our powers combined, the Cafe will open with a java-powered bang! It's been quiet... too damn quiet. That's on us! Let's fix that. Up until today we were still negotiating for the cafe space AND making certain we had a favorable lease for EndGame (the game store space) too. All in all it took five months in total, and today we sealed all the terms, and are just waiting for the final documents to sign! But what does that mean? For the Kickstarter, it means a short delay. The campaign won't start on March 15th as we'd hoped. At the end of the day, we really needed to be 100% confident in the lease and get those signatures in ink before we could launch. And we're sure as heck weren't going to ask folks for money, either, until that got all wrapped up. With that behind us, we're finishing up our video, uploading it, and putting the project in front of Kickstarter for approval. (They have to approve every project before it can launch.) Due to the vagaries of what's left, we'll just say that we are only about a week or two out from launch. We promise to get very loud when we are within a couple days of launch, of course! We appreciate all your excitement, support, and patience. These sorts of things are always hard to line up just right—and now that we've got them lined up, it's a straight shot from here to launch-time. Looking forward to seeing you all there. So close! Wait, what is EndGame Café? Lemme back up here. In October we announced we were in negotiations with our landlords to lease the space next to us so we could put in a full service café. We've been in our current space for ten years now, and we had a big decision to make: five more years, or call it a good run and close things up. Those five years are a big deal for us. As we thought about it, we realized we wanted and needed to do more than just five more years of the same thing. EndGame is at its best when we're stretching ourselves, growing, and trying new things to better serve our fans and community. In short, we wanted a bigger challenge, and a better space for you all to gather in. We've always been unhappy with the fact that most of the "easy food and drink" closes up around us by 7pm, more or less. This changed in 2013 when Rosemunde opened up next door and helped our community find a quick bite before game time. Thing is, there just isn't a coffee shop close by…and we all sure like a warm beverage late into the evening. Maybe a cookie too. What we also discovered in 2013 was how many of our friends could help us find new and different events to host at EndGame. We had The Doubleclicks perform twice (once with Molly Lewis!). We also hosted Marian Call. We have been approached by others to do spoken-word, author readings and signings, and improv workshops and shows. As a part of all this, we discovered that our current space is good for these types of things (acoustically we have been told it's fantastic! ), but it forces us to displace other events or to squeeze them all together in tight confines. With the café space next door we hope to do all of that and more. That's the "why." - We just signed the lease. - An architect is working on the plans. - A contractor is lined up to begin work. - We launch a Kickstarter on 3/15/14 to help make this whole thing happen. We'll keep you updated on our progress throughout the build-out, and we hope to see you all for the mid-March launch of our Kickstarter campaign. With your ideas and support, we're going to launch this café in true EndGame style. It's going to be a great start to another five years. We're nothing without our community, and we're thrilled to be serving you all even better as this new phase begins. Thanks for making it possible!